Our complete range of supply include chemicals for Oilfield (drilling fluids, additives, muds, rig wash, etc), Marine (rig wash, cleaning, corrosion inhibition, etc), Water (boiler, watermaker, descaling, effluent treatment) and Fuel (additives, burner, etc). organic salts such as formates and acetates. For purification process and corrosion protection of costly refining equipments. Corrosion Inhibitors » For the protection of refining equipments and overhead column and for refinery processing equipments. Slop Oil Demulsifiers » To break, even toughest solid-laden aged slop or residual oil emulsions. Organic Neutralizers » For smooth uniform and complete pH control. Flocculants » Coagulants and in-line flocculants for raw inlet or oil water classification slop oil recovery etc. Oxygen Scavenger » For the oil well protection process. Brine Corrosion Inhibitor » For wet crude surface systems water wells flooding and dispersal system. 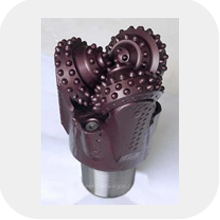 Drilling, Completion and Workover Fluids » We supply specific fluid systems according to client's specific requirements. Synthetic drilling fluids, High Performance drill-in fluids » These systems are used to inhibit shale swelling and prevent hydrate formation. Ester-Based Drilling Fluids » We supply esters produced on the basis of renewable natural resources and other additives for the formulation of drilling fluids, as well as production chemicals for oil and gas exploration. We provide a full range of mud systems to match the drilling programs and environmental requirements of deepwater wells.